In these moments I have found a greater appreciation for my solitary condition. These moments have forced me to stop running from my mind and give up the trappings of materialism. Had I never known love, I would not have found a true appreciation for the most simple weed and the vast abilities of the mind. Through love, lies the desire to know something greater, which can only be “the self.” It is not a matter of rejecting loneliness, it is simply realizing that my life has been one of distraction and indulgence, neglect. It is the plight of many to say that everything in our world has been discovered, mastered, and neatly packaged – but this is simply the lot of the lazy mind, which has been nurtured by a society with little regard for the spirit of beautiful wonderment. 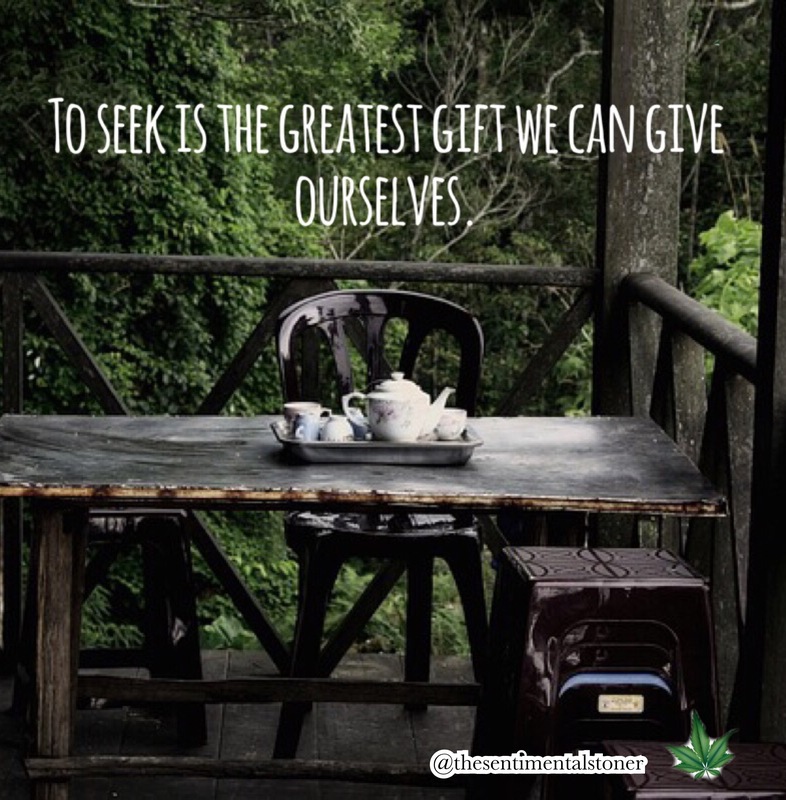 To seek is the greatest gift we can give ourselves.